Elizabeth Evans was born in Sydney on the 31 May 1816, the first child of Jane and Richard Cheers. Her mother Jane Anne Smith had been transported for theft in 1814 on the Wanstead and her father, although condemned to hang for stealing a horse, had been selected to sail on the Guardian in 1789 in response to Governor Phillip’s plea for convicts with farming skills. Thirteen days out from the Cape of Good Hope, the Guardian struck an iceberg that tore away her rudder and most of her keel. Half the ship’s company took to the boats, only one of which survived the stormy 1,300 mile (2092 kilometre) voyage back to the Cape. A month later, through exemplary courage and seamanship and against all probabilities, the crippled Guardian herself sailed into Table Bay. Richard Cheers and the other convicts who remained on board with Captain Riou and managed to bring the ship into port at Table Bay soon received pardons and land grants with a mandate to farm. He then established the Black Bull Inn on the corner of Essex and George Streets (1798–1811). He claimed to be the first butcher in the colony ; by the time Elizabeth was born he had moved his commercial focus to his land on the corner of Hunter and George Streets extending to the Tank Stream, where a well-established butchery and spacious family home overlooking the parade ground were to accommodate his new family. Sadly Elizabeth’s mother died suddenly in 1823 and Richard, apparently demoralised and grief-stricken, passed away in 1827 leaving four young children. Their older stepsister Harriet took them to live with her in Phillip Street at the Plume of Feathers Inn where Harriet’s husband William Walsh was licensee. The 1828 Census shows a large household, Elizabeth was aged about twelve, her sister Mary Ann ten, and brothers James nine and William seven. There were also Harriet’s daughter Jane Neale aged four and son William Walsh junior aged one, and Eleanor Newton, the orphaned 15 year old daughter of friends. When Elizabeth married Captain John Evans on 6 February 1833 at St Phillips Church Eleanor was one of her witnesses. In the following year Elizabeth was a witness to two family weddings at Scots Church, Eleanor’s to William Frost, a local grocer and Mary Anne’s to Henry St John Cahuac, Clerk to the Superintendent of Convicts. Born July 1801 to a Welsh farming couple, John decided on a seafaring career, gained experience on whaling vessels in the northern hemisphere and qualified as a Master Mariner. His first visit to Sydney was probably in 1829 when he arrived on the Albion as Chief Mate to Captain Mott. In 1831 Mott retired and Evans was appointed Captain of the vessel. So it was as the recently appointed Captain of the Albion that he married Elizabeth Cheers. Whaling voyages were long, usually about 18 months to two years, and the marriage took place in a six month break between two long trips. After the Albion, he captained the Wolf, the first ship fitted under Temperance Regulations (1835–7) until its loss on rocks at Lord Howe Island, then the Bombay (1838–9) and the Alexander Henry (1839–1840). He later donated artefacts collected from whaling voyages to the newly established Australian Museum ‘A sword armed with shark’s teeth; and a bamboo pillow from the Kingsmill Group’. Family anecdote says that their first child, Mary Frances, was born at sea and named after the ship Mary Frances, and it seems likely that her birth was at sea. At her marriage at St Stephen’s Newtown 31 January 1879 she listed her birthplace as ‘South Sea Islands’ . Her birth took place on 12 November 1839 during a whaling voyage of the Alexander Henry and her baptism was at St Phillip’s on 26 October 1840, almost a year later and ten days after the ship’s return to Sydney. Perhaps she was called Mary Frances because her father had gained experience on this northern whaler in his younger years and it held a special importance for him. But the Mary Frances was lost years before, icebound in the Davis Straits, a northern arm of the Labrador Sea, in 1835. Around this time the family moved to Hinton, perhaps to join stepsister Harriet and her new husband Robert Murry who had become licensees of the Hinton Hotel. There they celebrated the wedding of Harriet’s daughter Jane Neale to George Frederick Barnes, the local Medical Practitioner. In October 1841 John placed a notice in the Sydney Herald announcing that he had taken over the Hinton Stores next to the hotel and would be happy to supply all orders at considerably reduced prices, and to the small settlers contribute all in his power during these hard times, by an exchange of property or grain at the market prices. The 1840s were a time of drought and recession in NSW so a form of bartering was presumably a realistic option. But the stay in Hinton was not to last long. Two events intervened: Harriet’s unexpected death and another misfortune further afield. Elizabeth’s sister and brother-in-law, Marian and Henry Cahuac had left Sydney around 1837 to farm Euroka, a property on the Macleay River where their brothers James and William Cheers had also settled. 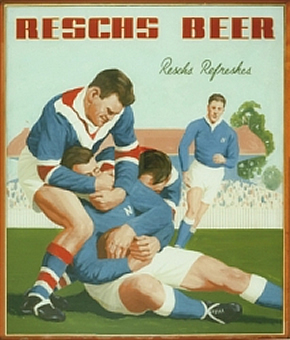 The premature death of Henry Cahuac after a fall from a horse caused Marian to return to Sydney with her two small children. Elizabeth and John stayed at Hinton for the birth of George St John in May 1842 and then took out Depasturing Licences for Euroka until about 1847. As reported by Commissioner Massie in 1844, they had made a number of improvements, the slab huts were now shingled and weather-boarded with good offices and outbuildings, the cultivation area had been increased from 30 – 44 acres and wheat and barley had been added to the maize already cultivated. Massie added the comment the buildings on this station are of a superior description . At this time Captain Evans served as a Justice of the Peace at Court of Petty Sessions in Port Macquarie and did short coastal runs on the schooner Gipsy to Pambula, Boyd Town and Moreton Bay. Their family grew: the Frances Helen was born in 1844 and Alfred Essex in 1846. Perhaps the call of the sea was too strong, and John Evans returned to whaling in 1851 on the Lady Blackwood just before the birth of Kate Elizabeth. The family now resided in Glebe and Woolloomooloo. Two little boys Sydney William (b 1848) and Henry Robert (b 1853) each survived only a year; Henry’s death was due to teething . Theirs were among the earliest burials in the new Camperdown Cemetery. During this whaling trip Evans discovered the crew of the barque Thomas King who had been stranded on a sandbank near Cato’s Reef in the Coral Sea where their ship had foundered and sunk. They had been there ‘fourteen days…subsisting on such things as were from time to time washed ashore; but without water, they suffered severely, and were rapidly sinking’. Evans sent two whaling boats to get them and made a diversion to Moreton Bay because of their deplorable state. ‘The rescued men all speak in grateful terms of the kindness and attention evinced towards them by Captain Evans while on board the Lady Blackwood, he having supplied them with clothes from his own stock, and contributed to their own comfort in every possible way’ . On his return to Sydney however Evans sustained a serious injury: Captain Evans had a narrow escape with his life on board the vessel. It appears that the cooper and the carpenter were engaged in drifting a bolt out of the paul bitts, under the captain’s superintendance; the handle of the sledge hammer used by the cooper unfortunately broke: the head, recoiling from the bolt, struck Captain Evans on the face and completely crushed it in. No doubt the need to recuperate kept Evans on land. This seems to have been his last whaling voyage: poor weather, the death of a crew member, only 200 barrels of sperm oil taken and finally the accident made it less than successful. 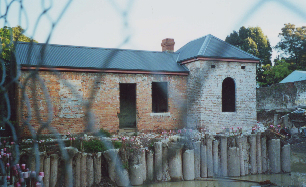 Elizabeth and Marian and their brothers James and William Cheers inherited their father’s land after his death in 1827, the north-west corner of George and Hunter Streets to the Tank Stream. Plates 20A /1 & 3 of Joseph Fowles’ Sydney in 1848 show the Hunter and George Street façades after development, a row of terraces for business and residential use called William and Adelaide Place built about 1833 . The whole block was held in a family trust, the sisters managed the portion to the west of Little Hunter Street and the brothers the one east to the Stream, which later became Hamilton Street . In 1845 the Evans family sold two properties on George Street – the third and fourth from the corner – numbers 502 and 504, tenanted by Mr Bennet, Bootmaker, and Mr Deeper, Hairdresser, both ‘respectable tenants’. In 1853 the second terrace from the corner, 3 Hunter St, was the subject of litigation . Clothing Merchants J and E Leathem had been tenants since 1850, having leased it from Marian Egan. Leathem signed a written agreement with John Evans to leave the premises on a certain date and then alleged that a verbal agreement allowed him to stay. Evans, believing the house would be vacated, had leased it to William Allen. So it was necessary to seek an ejectment order in the Supreme Court to recover possession of No 3. The case was eventually decided in favour of the Evans/Egan families . Sadly, the deaths of children were a common event in these times and when the family left Greendale it was after the loss of two more of their children who were buried in the small graveyard of the recently completed Edmund Blacket Church of St Mark, Greendale, George St John aged fourteen died of phthisis (tuberculosis) and Kate Elizabeth died of an unknown cause aged six and a half. In 1864 Captain Evans was again appointed a Justice of the Peace. 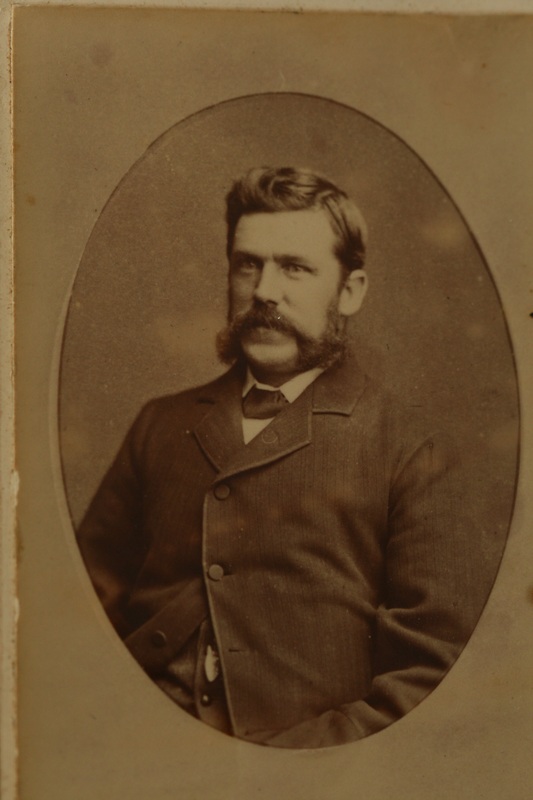 He was ‘a most efficient magistrate, attending every court, brother-in-law of D Egan Esq M.P’ In the same list of JPs was Elizabeth’s brother James Cheers of the Macleay River, also ‘a brother-in-law of D Egan Esq MP, an educated gentleman, and a native of the colony’ . On their return to Sydney they lived at Chester Lodge Camperdown on the Parramatta Road. Here sadly in 1867 their daughter Frances Helen died of bilious fever at the age of only 23. Now of their seven children there remained only Mary Frances and Alfred Essex. But soon there would be two marriages to celebrate. In 1872 Alfred married Fanny Laura Lowe and in 1879 Mary Frances married Rev Joseph Dark, a widower with three young children, all of whom came to live at the family home. Elizabeth must have regarded her new son-in-law and his children with great affection, for she left provision for all of them in her will, as she did for the children of Fanny and Alfred . From about 1869 they lived at a cottage called Evansville on the western side of Fitzroy Street Newtown, not far from Newtown Road (now King Street). The house was described in detail in a notice of sale by a subsequent owner: ‘a comfortable COTTAGE RESIDENCE, substantially erected of W.B.’ (weatherboard) ‘on stone foundations, lined with lath and plaster, shingled roof, containing HALL, Verandah (back and front), 6 Rooms, large Kitchen, 2 Pantries, Bathroom and Office, Laundry, Servant’s Room, Storeroom &c., large Shed Room at rear, plenty of WATER, GAS laid on, Land 60 x 80, part of which is VACANT, and available for BUILDING purposes. Good yard, side entrance, FLOWER GARDEN &c’ . The starting price for this 1887 auction was to be £700. Three years earlier it had been valued at £525 . Evansville became 8 Fitzroy Street now heritage-listed, and was almost opposite Camperdown Lodge, the house of the famed Eliza Donnithorne who lived a reclusive life in her large house on Newtown Road. Map – State Library Z.M Ser 4 811.17.1 CSSM Surveyor General Newtown Sheet 2 1889 Detail Sheet. 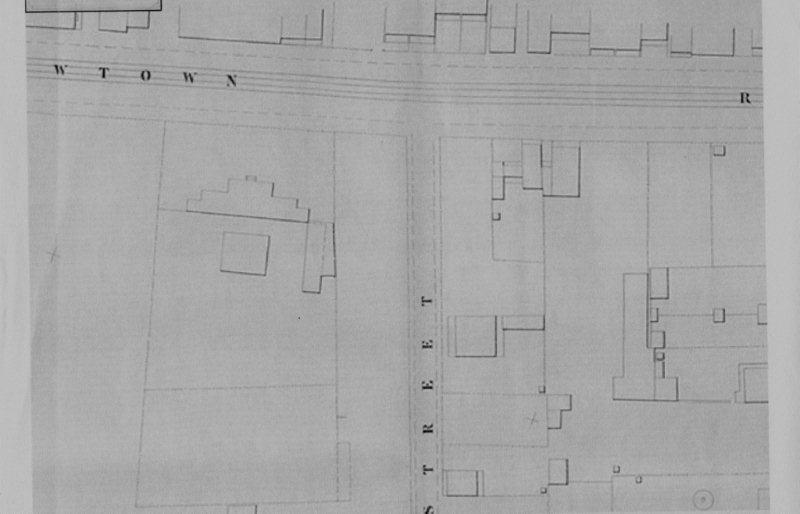 This map shows the junction of Fitzroy St and Newtown Road. Eliza Donnithorne’sCamperdown Lodge is on the left facing Newtown Rd and on the right side of Fitzroy St from Newtown Rd is the Evans’ large paddock and the first structure in Fitzroy St is Evansville. John and Elizabeth continued to see Daniel Egan, the widowed husband of Elizabeth’s sister Marian. The Sydney community was shocked by his sudden death on the 16 October 1870 at his premises the Gap Hotel Watson’s Bay. At this time, he was both MLA for Monaro and Postmaster General. Tributes in the press said he was the oldest continuous member of the Legislative Assembly with the exception of Mr (William John) Macleay. His long funeral procession numbered about eighty vehicles as it moved through the streets of Sydney. Mourners included prominent religious and political figures, among whom were the Governor and the Archbishop of Sydney John Bede Polding. 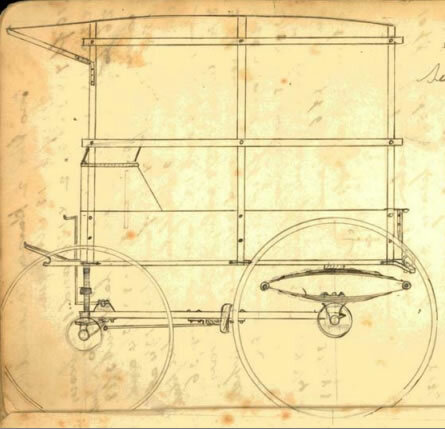 ‘The mourning coach contained the deceased’s grandson (Master Daniel Egan) and the brother-in-law of the deceased, Captain Evans and his son, and Mr Thomas Garrett’ a good friend. At Petersham Cemetery, after funeral rites performed by Father Quinn of St Mary’s Cathedral, his remains were ‘consigned to the tomb, amid many touching manifestations of regret from his numerous friends’ . That evening the Legislative Assembly was adjourned as a mark of respect to their late colleague. Sir,- I have taken the liberty of addressing you on a subject of the most painful and distressing nature, feeling assured from your generous character, I shall meet with your sympathy and help. You of course remember with what outward symbols of respect both by Church and State, the remains of my deceased brother-in-law (Mr Egan) were laid in the grave and will, I am sure, be shocked to hear, that the poor senseless bones have been removed (without an application to any member of the family) and cast into a corner, where any loving hand would shrink from placing a favourite cat or dog. On November 30th I went to visit Mr Egan’s grave, and was horror-struck to hear that the sanctity of it (which ought to have been held so sacred) had been violated, and none could tell me where he was laid – I must leave you to imagine my feelings, my only and dearly-beloved sister’s husband, who had always been so kind and good to her, and who loved her children as much as if they were his own, to be so treated. My husband (Captain Evans) called on the late Attorney-General (Sir W Manning) but no information was to be gained there. On the Sunday following my husband, in company with his son and nephew, went to the graveyard to institute further inquiries. On reaching the place, much to their sorrow and consternation, they met Mr Egan’s grandson (Daniel Egan), an intelligent lad of 14, who was crying bitterly, not being able to find his grandfather’s grave, and being told by a child, it was cast over the fence. Being determined to come to the root of the matter, I went, accompanied by my daughter, to see the Archbishop. A priest came to us, excusing his Grace, as being too ill to be seen. (I am happy to say his illness was not of an alarming character, as he was driving about that day). All the intelligence I could gain there was that, Mr Egan’s life not being strictly moral, it was not deemed fit he should rest in quiet by his sainted brethren, and was therefore laid in a disgraced place, at the back of the out-offices of the people occupying the lodge, and close beside their well. I have stood and looked at it, and can therefore vouch for the truth of what I state. In company with my husband I have seen the Vicar-General, who repeated what the priest had said, adding that it was through the unkind remarks made by two gentlemen, members of the House, that this wretched business occurred. Of course this I do not believe, as I know Mr Egan always considered them his staunchest friends. I know Mr Egan died poor, had nothing to leave for masses and donations; when he was rich he was very liberal towards his Church, as he showed in giving 150 pounds in decorating it with the splendid window which he had put in to the memory of his deceased wife and her children, who with his whole family were members of the Romish Church. Had it been otherwise, had he left a large sum to the Church, his poor remains would now be in the place where they were first laid. Are these things to be and in a Christian land? I do not speak so much for myself, as for the unhappy fatherless boy, who deeply loved his grandfather. He feels it deeply now, and in years to come should it please God to spare his life, how deeply will he be tortured in knowing that the remains of a parent so generous and kind had no decent resting place. Leaving my cause in your able hands, and apologising for troubling you. The act was condemned in the house by MLAs of all religious persuasions. It was alleged that Daniel Egan had been living with a lady unmarried and may have had children with her, and that conservative forces had decided that he did not merit burial in consecrated ground . Much discussion took place in the House of all aspects of the case accompanied by expressions of respect and friendship for the deceased, but apparent avoidance of action on the matter . The Hon David Buchanan was obliged to raise the issue many times before Egan’s remains were reinterred in their original grave. 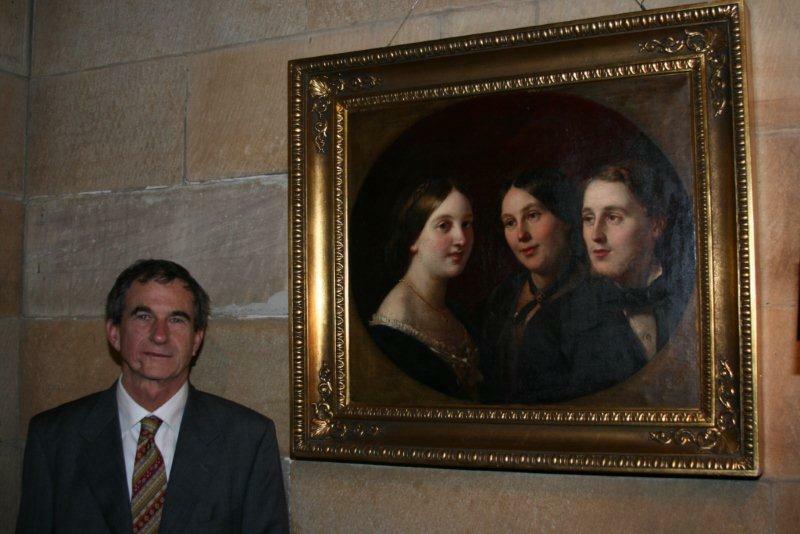 At some stage Elizabeth acquired the portrait of her sister Marian Egan and children Gertrude Evans and Henry William Cahuac. It was painted in London in 1857 and, because unfinished, was not sent on the Dunbar but shipped later. Family anecdote says that it arrived ‘on the next ship’ and thus survived the tragic sinking. Shipping records of imports show at the end of October 1857 on The Hogue from London ‘1 package – Egan’ . This was an unusual cargo as Daniel Egan usually received goods in large quantities for sale at his premises No 478½ George Street, such as wines and spirits, sorghum and guinea grass. A more usual import item was ‘10 hogsheads – Egan & Son’ or ‘100 casks – Egan & Son’.This single package for ‘Egan’ was probably the portrait. He presumably gave it to Elizabeth before his death and it would have been hung on the walls of Evansville. 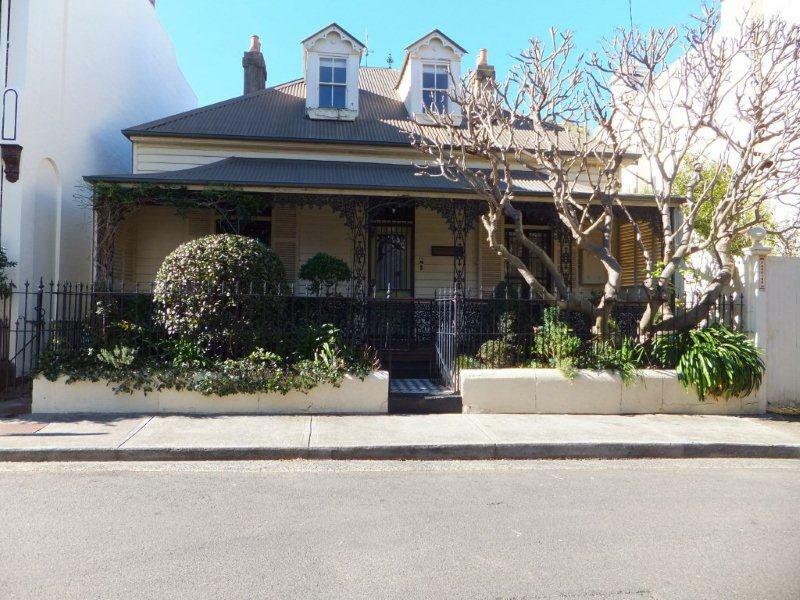 Her son Alfred was the next to inherit it, and its home would then have been his cottage Essexville at 14 London Street, Enmore. When about 1909 Alfred’s widow Fanny moved to Lauderdale Avenue Manly, the portrait was taken there. Her eldest daughter Grace Elizabeth O’Rourke (1872–1966) inherited it and Grace in turn passed it to her great-grandson Dr Christian Garland, its present owner. It was not shown in public until August 2007 at the 150th anniversary commemoration of the loss of the Dunbar at St Stephen’s Newtown, and it is the only extant image of anyone who perished in the Dunbar. 1857 Portrait of Marian Egan and her 2 children who perished in the Dunbar. 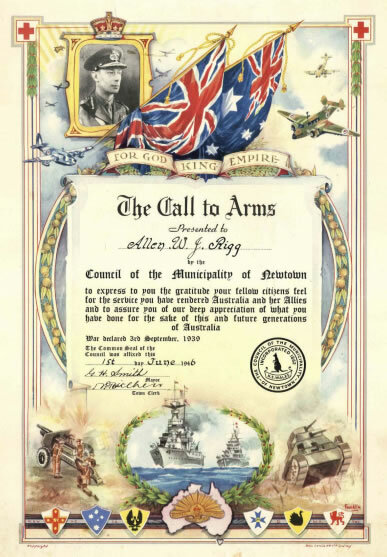 Elizabeth cherished this and passed it onto her descendants. Christian Garland, the owner and latest inheritor, is pictured with it. Photograph taken by Kieran Hosty in 2007, photo for his book about the Dunbar (Keiran Hosty, Dunbar 1857:disaster on our doorstep, ANMM, 2007). Elizabeth and John supported a number of causes they judged worthy. 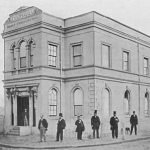 In 1835 they each donated to the fund for the Baptist Chapel in Sydney. The Church Society was founded by members of the Church of England to provide clergy, spiritual support and education where needed, particularly in rural areas. 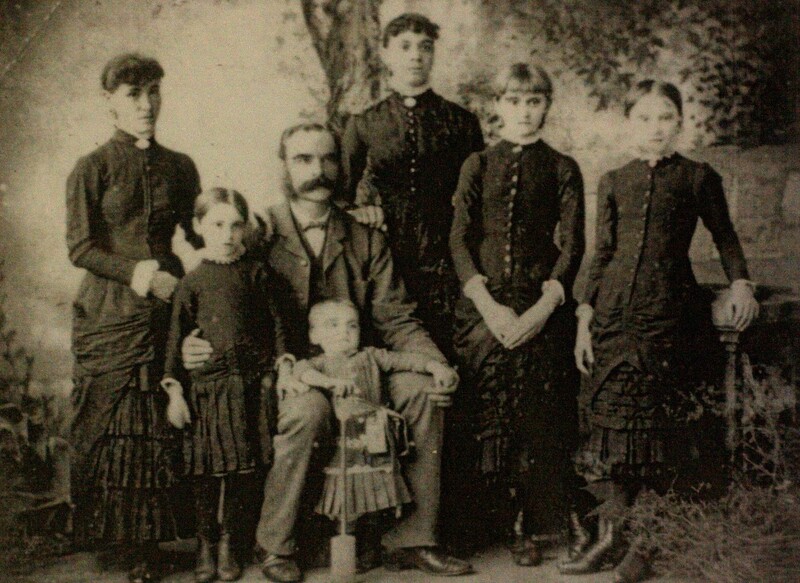 Elizabeth, John and four of their children – Mary, Frances, Kate and Alfred – were listed as donors to the Church Society from the Mulgoa/Greendale Area, their father being a committee member and the collector for the area in 1856. 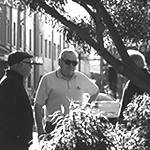 The Sydney Bethel Union was formed in Sydney by mariners, clergy and other influential philanthropists for the material and spiritual support of seaman. The Evans family were well acquainted with the hardships and sudden losses that were the mariner’s lot. When Captain of the Wolf in 1837, Evans had experienced a disastrous and rapid shipwreck after strong winds caused the ship to hit a large rock – called Wolfe Rock since that time. The ship sank in the space of half an hour and although all lives were saved, ‘Captain Evans and his crew not only lost everything they had in the ship but also their hard earnings for the last eighteen months’. The cargo of 1700 barrels of oil worth £16,000 was also lost. They were lucky to be given provisions and shelter by the inhabitants of nearby Lord Howe Island for four weeks until they were rescued by Captain Norris of the Psyche. John Evans was therefore an active supporter and became a committee member of the Bethel Union in 1855. This was an important year for the Union, as the Government had granted a very suitable site on the western side of the Circular Quay and the erection of a new Mariners Church with school and reading room were planned as soon as possible. Much fundraising occurred during this year and the foundation stone of the church was laid on 19 March 1856. Elizabeth no doubt supported this work and might have attended meetings, as various chairmen remarked on the presence of ladies and paid tribute to their compassionate work. 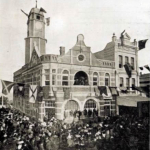 In 1859–1860 disastrous floods swept through the areas of Shoalhaven, Moruya, Braidwood Araluen, Bega and Goulburn. The Southern Floods Relief Fund was instituted by the Mayor of Sydney to provide food and cash grants to the many sufferers. John Evans was a collector for Greendale and he and Elizabeth made donations. Elizabeth planned ongoing benefits for her family and the community. Her very elegant will of 1883, consisting of nine A3 pages, shows the care with which she apportioned her accumulated wealth. Having gained benefit all her life from income from the city property on the George and Hunter Street corner, she ensured that it generated ongoing income by creating a trust to be managed by her executors Rev Robert Taylor of St Stephen’s Church Newtown and John Booth Jones her Sydney solicitor. At the time of her death the property was valued at £20,000 . She left legacies to her husband and other family members. In the case of married women beneficiaries, she added a proviso to ensure that their benefit became indeed their own: ‘And I direct that the said annuities or sums of money payable to such of the annuitants as shall be married women shall be enjoyed by them respectively as separate estate free from the debts interference or control of any husband and their receipts respectively for the said sums or any part or parts thereof shall at all times be good and effectual discharges to my Trustees’. She was similarly careful in the case of female grandchildren: ‘And I declare that the share or shares whether of principal or income to which every female shall be entitled under the trusts of my Will shall be received enjoyed or disposed of by her as her separate property independently of the control or interference of any husband with whom she may have intermarried and that her receipts alone shall be notwithstanding coverture effectual discharges for the same’ . Elizabeth and John had been donating to the Sydney Infirmary Fund intended to support the building of the new Prince Alfred Hospital. In her will she left some of the ongoing income from her property to fund the salary of a Chaplain of the Church of England for the Hospital. This generous gift, with a copy of the relevant portion of her will, was reported in the Minutes of the Board of Directors: ‘The Honorary Treasurer announced that Mrs Elizabeth Evans of Newtown had left, by will, the sum of £75 per annum towards the salary of a Chaplain of the Church of England for the Hospital and bequeathed the sum of £1500 to be invested and the interest to be devoted to the same purpose…’. Elizabeth Evans, born in Sydney in its early years, had acquired in the course of her life a sense of civic responsibility and compassion for those in need. She was fortunate to begin her life in financial security and managed these assets wisely. She suffered the loss of most of her children and her sister, niece and nephew, but these tragedies seemed to make her determined to help the sick and suffering even after her death. She lies in the family grave behind St Stephen’s Newtown not far from the Dunbar monument which honours her sister Marian and all those lost in that tragedy.